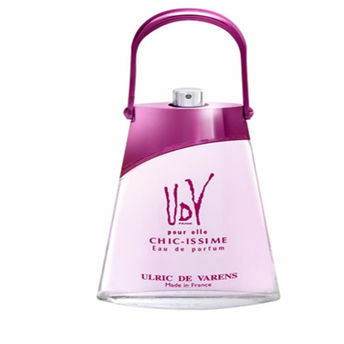 Ulric de Varens Chic-Issime Eau de Parfum is an irresistibly sensuous and romantic fragrance. It combines floral notes of lily and jasmine with musks, tea rose and white amber. Packed in a glamorously attractive bottle, an ideal gift for the woman you love. Explore the entire range of Perfumes (EDT & EDP) available on Nykaa. Shop more Ulric de Varens products here.You can browse through the complete world of Ulric de Varens Perfumes (EDT & EDP) .